Ford’s travelling installation that will be making its way across Europe this summer is art, but it can be agreed that it speaks to everyone who views it. In fact, it speaks to one very specific idea: Focus. 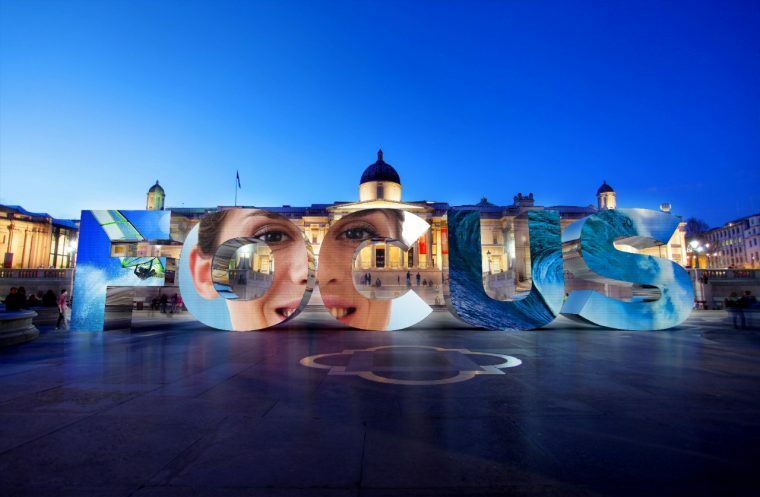 This is because the installation in question consists of 540 LED video tiles laid out across a 20-foot-high, 98-foot-long structure that literally just spells out the word FOCUS. So, you see, it speaks to you about Focus — and, specifically, the Ford Focus — because it says Focus. Art? Maybe. Direct. Certainly. The display just finished up a three-day appearance at Radio City in Milan, Italy. Next month, it will appear at Potters Field in London from July 5-7 before moving on to Sony Center in Berlin from July 13-15. 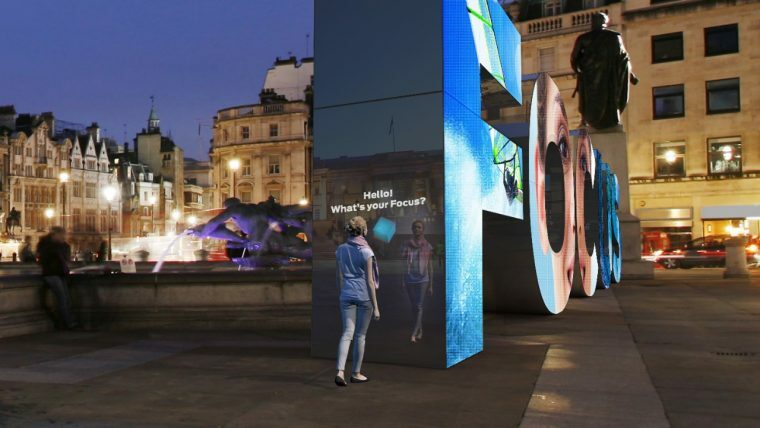 Sometime thereafter, the FOCUS installation will visit Plaza Mayor in Madrid. The most notable feature of this display is its artificial intelligence, which understands four languages and can converse with passersby. The display asks users what their focus is, and it uses that information to provide a personalized video that touches on the individual’s passions. Ford says that it took 200 hours to train the AI to learn how to react to people, which is just a fraction of the 6,000 hours required to build the display proper. Naturally, the display’s primary … heh … Focus is to promote the all-new Ford Focus, which is set to begin rolling out in Europe later this year.